Indy Star IndyCar reporter gets it wrong on Rossi, dual allegiances between IndyCar and F1 and paying customers’ credible concerns. News broke yesterday that f-ing F1 invader Alexander Rossi – who’ll be driving for (who else?) Andretti/Herta this season, when he’s not too busy – will fill a dubious dual role also serving as F1’s Manor Racing’s substitute driver. Rookie Rossi, an American, only recently came to IndyCar after failing to find the podium in five Formula 1 starts in 2015. In IndyCar for all of zero races, double agent Rossi derisively deemed the series “foreign,” which didn’t exactly endear him to IndyCar enthusiasts. After taking the seat away from reigning Rookie of the Year and good guy Gabby Chaves, it’s crystal clear that he’s not fully committed to IndyCar at all. He’d rather be with Bernie. According to Cavin though, we’re all wrong for pointing out this fact. Upon reading the piece in the Star, we simply couldn’t believe it. Had he really said . . . THAT?! Lost in the lead up to Christmas was a Mark Miles interview with the Indy Star’s Curt Cavin. The story both leads and wraps with Miles using the time worn and ill-considered metaphor “time flies” when asked about his three year anniversary as CEO of Hulman and Company, IMS and IndyCar. Miles’ miserable metaphor typifies both his rule of IndyCar and his inability to communicate effectively. Of all times to reference flight, this year wasn’t the one. Of course cars aren’t supposed to fly, though the season was marred by flying aero kit pieces, flying cars at Indy and another flying piece of debris that sadly took Justin Wilson’s life. Miles started the interview off saying time flies – talk about inappropriate! Cavin’s article cited all those calamities and others, including the humiliating race cancellation in Brazil. 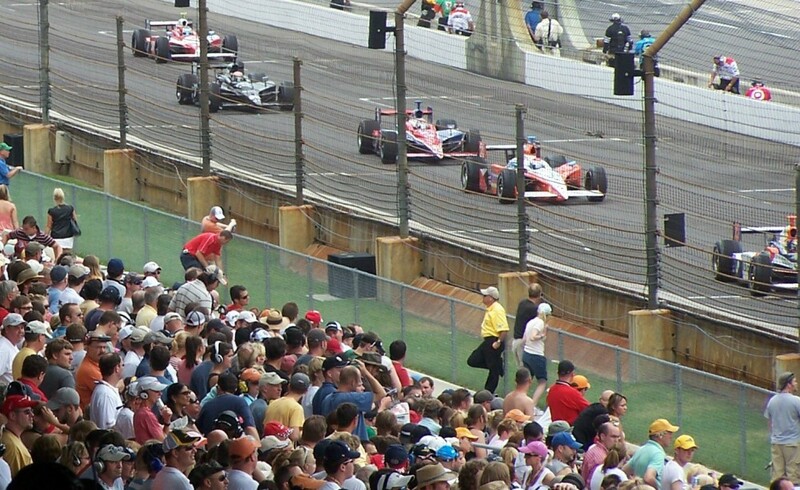 Sound issues and traffic problems at IMS for the Rolling Stones concert last year were even aired, as Miles’ incompetence was on full parade. Good grief, they’ve only been holding Stones concerts successfully all over the world for half a century now.